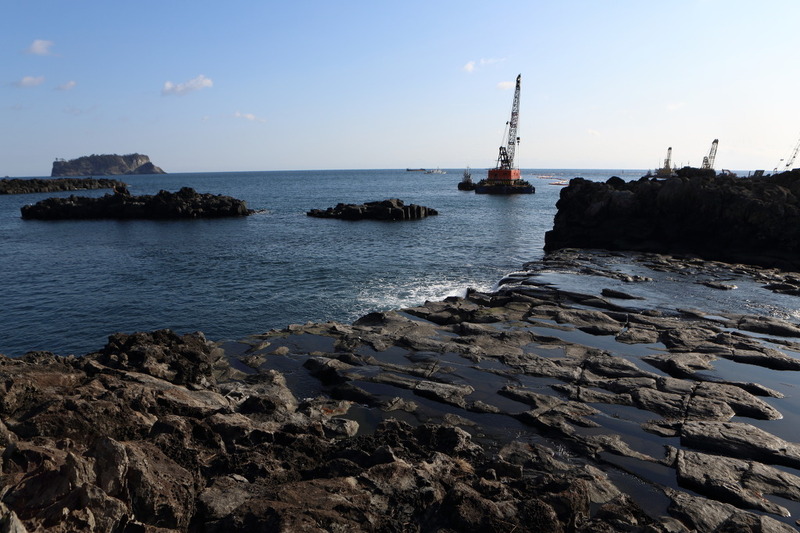 The Save Jeju Now website is an up-to-date record of the ongoing nonviolent struggle to stop the Jeju naval base construction project currently being forced upon Gangjeong Village, a tiny town located on the southern tip of Jeju, the Peace Island, in Korea. 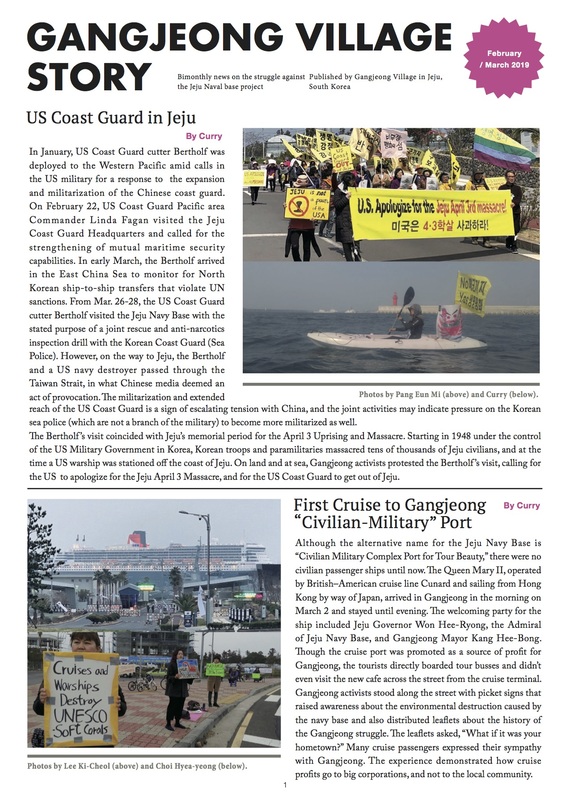 Since 2007, The South Korean government has been oppressively trying to build a war base, falsely and absurdly named the “Civilian-Military Complex Tour Beauty Port”, on top of the village and its precious environment despite the opposition of a strong majority of the villagers (94% of voters). The base will be used by the U.S. military in its strategy to contain China in the Asia-Pacific through aggressive US missile defense system equipped destroyers. Jeju Island was designated as “The Peace Island” by the Korean government on Jan. 27, 2005 as part of a formal apology for the 1948 “4.3 Massacres”, in which government forces and rightwing thugs slaughtered 30,000 Jeju civilians and burned 70% of the the island’s villages to the ground as the people rose up against the U.S. lead move towards the division of Korea. Now the forced base construction is bringing renewed state violence on the people of Jeju in what some consider a 2nd “4.3”. The people of Jeju and Korea aspire for Jeju to be a true peace island, with no war base, to set an example for the establishment of a truly peaceful Asia Pacific. Situation updates, calls for action, pictures, videos, and news are posted regularly in English and sometimes in Mandarin and Japanese. Through this site we hope to battle the lies and misinformation spread by the Korean Government, the Korean Navy leadership, and Samsung and Daelim, the primary construction companies which are illegally operating. We hope to spread the real truth about the deception, violence, and cruelty which the residents of Gangjeong Village and thier supporters have faced since 2007.